Google Tag manager has been commonly used as a tool for firing marketing tags and sending data to google analytics. And it has a lot of support out of the box to easily setup google analytics or fire conversion pixels. 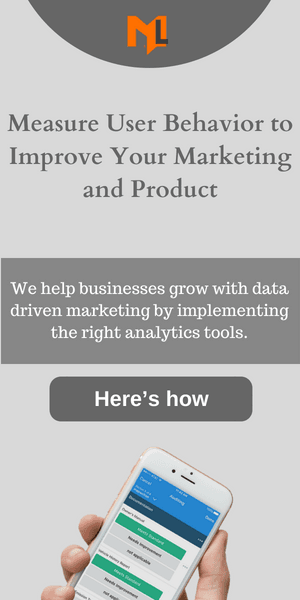 But its fundamental building block provides us the ease to build reusable templates that can send data to all types of analytics services including tools like kissmetrics, mixpanel, keenio, intercom. With this in mind, I would like to share the battle tested implementation I have been using to send data to kissmetrics. This assumes a basic knowledge of gtm [tags, triggers, variables] and builds on this to chain things together. It's also principally similar to what's described in this post. to identify users connecting their anonymized IDs with real world identifiers. We want to achieve this by defining a standard template tag and sending any data received by it to Kissmetrics. Following is the image of creating dataLayer variable km_property.email. You will have to do the same for other two. This tag fires on each page and loads the KM tracking library. This would also do things like tracking the default visit event. Note: Make sure this tag is set to fire first. Also give it the tag firing property of 1. This tag will provide a standard template for sending data to KM. // this script is used for identifying user if a valid email address is found. This tag will provide a standard template for sending properties to KM. 'event':'km_record' -> This is the trigger rule we used for event tag. As soon as gtm sees this, KM record event template will be triggered. 'km_property': -> This is mapped to the property object km expects. Any key/values passed within it will be sent to KM as properties. Properties are used to update attributes about users. They only contain the property object. we tried to liberally match for an email address before sending an identify call to the user. And there you have it! An end to end template that allows you to easily send data to KM while relying on the building blocks of Google Tag Manager. It not only offers to speed up the process but also makes it more maintainable. I'd be keen to hear about any improvements or thoughts you would like to share after trying this implementation. Look forward to hearing about your cool implementations. Any other tweaks share in comments! with thanks to fine combed editing by Zainab.